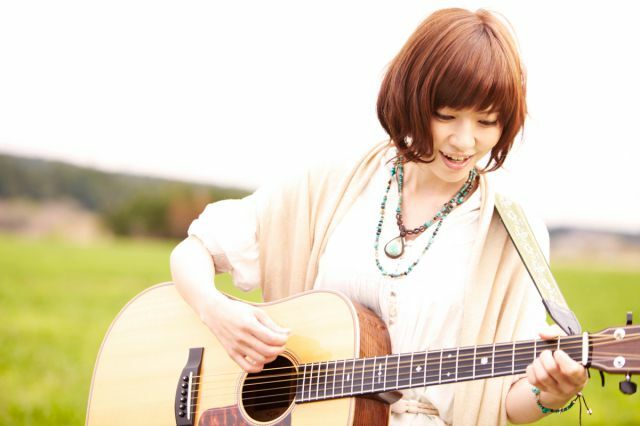 Rina Sumioka is a singer/songwriter born on 2/15/1990 in Sapporo City, Hokkaido. She began to write songs when she was still in high school and participated in a music club while in college. She began to hold lives in the Sapporo area from 2010 and by the summer of 2011, she went on a Hokkaido tour with 6 lives. She also released an exclusive single “Nagareboshi” only available at live venues. In October, she participated as the opening act artist in an event by SPARKS GO GO in Tokyo. In the spring of 2012, she relocated to Tokyo as she graduated from college and made her major debut with “feel you,” released in June.